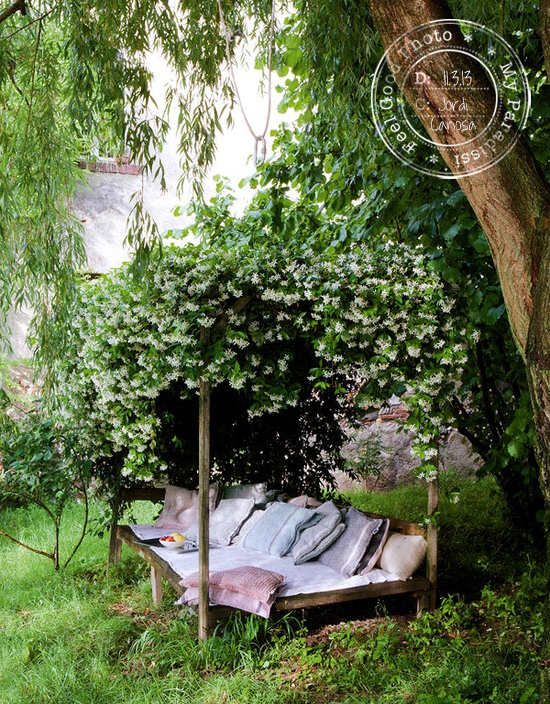 I can only imagine how divine it would feel to spend a few hours on this whimsical outdoor daybed.. Image by Jordi Canosa via Lesapea Musings. 2 comments on "Feel Good Photo 130311"
that's beautiful! thanks for sharing! wow, so creative. can you sleep on this?